In a new update to roll out soon, Google Calendar will now give you ‘Reminders’ for the purpose of helping you better organize your day. Whether it’s about simple tasks that you need to keep in mind or scheduled meetings, Google will be there to remind you. Or pester you about it until you remember. Until now, users had the ability of using Google Calendar for a similar purpose, but it had to be paired with another app, such as Reminders or Clear. Now, they’re all brought in together. It’s as simple as creating a new tab, and selecting Reminder instead of Event. That way, you can type away and customize it to your preference. It could potentially be a real time saver, as the app will notify you, and will not go away until you swipe it away as ‘check’ or ‘done’. That means that it will linger on your calendar even if the date has passed, just in case you don’t want to lose that particular reminder or event. Users can create a Reminder from their Gmail inbox, Google Keep, or even Google Now. By using the main search app, Google will allow you to instruct your phone to make a reminder. For example, tap on Google Now and say something such as ‘Ok, Google, remind me to go to the dentist’, and the notification will appear on your calendar. It’s simply and very easy to use. According to Google Calendar product manager, Vijay Umapathy, the purpose of the service is to make the most out of your day. 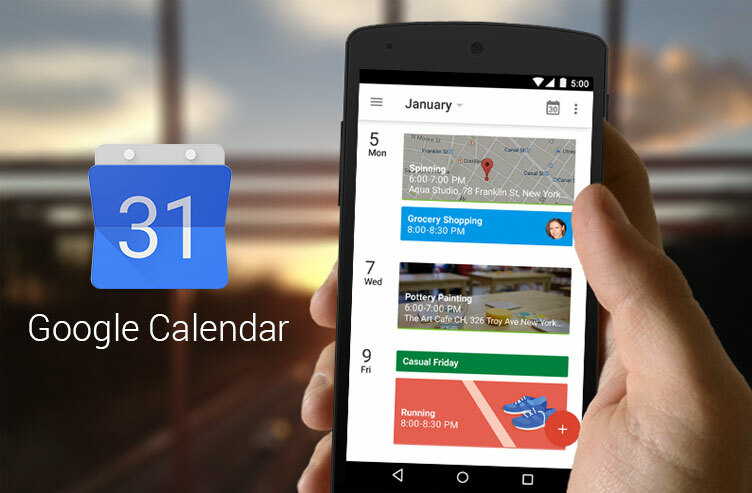 Now, you don’t need to use another app, and instead it can all be done through Google Calendar. The goal was to bring Reminders and Events into the same place. With a simple tap and drag, users will be able to even move them from one date to another, or change priorities. Each tab is colored and easy to track. It brings your calendar and to-do list together in one beautiful union that will make your day a bit more organized. Google Calendar is also free, and can be downloaded from the App Store, be it for iOS or Android. The update has already started rolling out for iOS, and also added 3D Touch for iPhone 6s and iPhone 6s Plus, that run a version of iOS 7.0 or later. According to Google, it will start rolling out for Android as well during the week. By the looks of it, it seems like Google Calendar might just become your best assistant.